The newest addition to the i-CON C workbench family is the infrared heating plate 0IRHP100A-03. 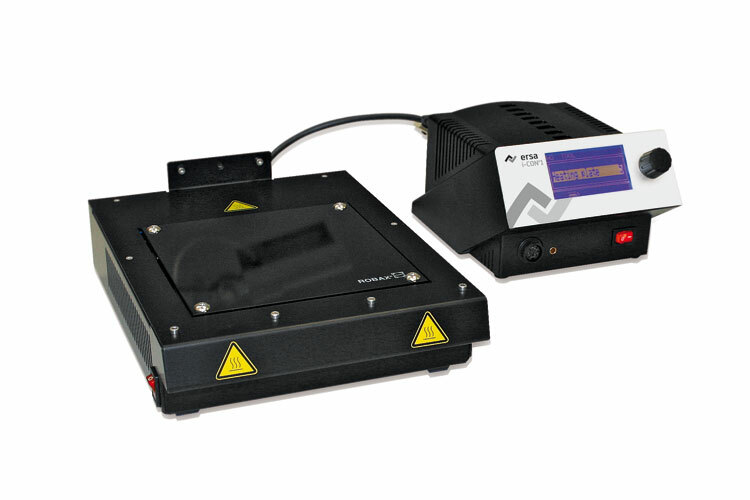 The proven IR heating plate which comes directly out of Ersa's world renowned IR rework product line, now offers bottom-side preheating for hand soldering, de-soldering and touch-up applications. The safe yet powerful medium wavelength IR heating technology offers a tremendous benefit to today's workbench. 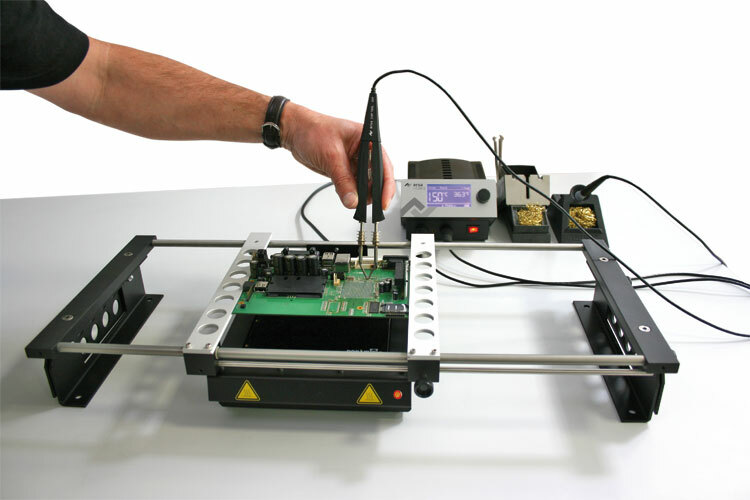 Working temperatures of both the soldering iron, heated SMD tweezer and/or de-soldering iron can be greatly reduced. Lower tip temperatures decrease the risk of PCB damage while at the same time greatly increasing the lifetime of the tips!